. إن Calais Mount Resort حريص على توفير الراحة للنزلاء، فلا يوفر الموظفون جهداً في تقديم أفضل الخدمات وضمان حسن الاستقبال. تتضمن الميزات الرئيسية في هذا الفندق: صف السيارات, خدمة الغرف, مطعم, خدمة غسيل الملابس, مصعد. استمتع بوسائل الراحة الراقية في الغرف أثناء إقامتك هنا. بعض الغرف تتضمن سجاد, بياضات, مرآة, صوفا, مناشف لمساعدتك على استعادة طاقتك بعد يوم طويل. إن سبا, حديقة هو المكان الأمثل في الفندق للاسترخاء وتفريغ طاقتك بعد نهار طويل. مهما كانت دواعي سفرك فإن Calais Mount Resort هو خيار ممتاز لإقامتك في المدينة. I found this accommodation very good for the price. It was opposite the beautiful Hot Pools. Could walk across the road. There was a lovely restaurant on the bottom level out front. Extremely close to the sea. A minutes walk at the most. A pretty walk around the base of Mt Maunganui, about 1 hour and if you are feeling energetic then walks up the top are available also. The one extremely frustrating thing I found was that they advertised Wi fi, but only a few of the apartments at the front could get it. I was only able to log on if I sat in the foyer by the office. Apparently each of these apartments are individually owned even though they are run through the office. The main reasons I chose this accommodation was for the location being close to the hot pools, restaurants and cafes' etc which was great, the price was another reason and the wi fi was a must as I had some work to do. Our room 308 Definitely had no Wi Fi. I was told that someone would contact me, they didn't. Studio room musty dusty and run down. No air con just dusty old pedestal fan. Very disappointed paid good money. Mouldy grout in bathroom. We had a great evening at the Resort close to good spots at the Mount. Nice bedroom with a balcony upstairs. Perfect place between the beach and the beutiful sunset in front of the bay. Also great hotpools accross the street! Also a covered parking. The only thing missing was a swimming pool. Lovely room on the top floor facing Mt Maunganui and the Hot Springs. The kitchenette, washing machine and dryer were all well utilised as I was visiting in the midst of "winter" (more like the rainy season to me). 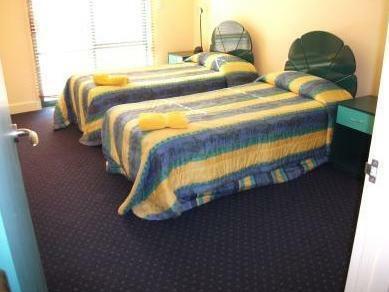 Room was spacious and a heating pad was thoughtfully added to the bed which made the cold nights a negligible problem. Being away from the main town meant the area was quieter but still within walking distance to the main attractions and great restaurants. Beautiful area , easy find everything a wiev is nice. Good location. 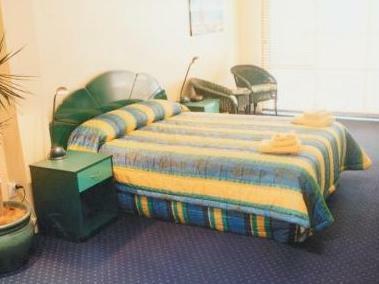 Comphortable bed and practical the all room. It was good time there. Good basic facility with what was required. Precisely what I expected. Situated at the base of the mount & close to local cafes & shops, these apartments are in an ideal location. The staff are very helpful & friendly. The apartments have one parking bay per apartment allocated & included in the cost of the room. The self contained apartments are clean, serviced, well equipped & spacious. There is also free Wi-fi available. This is my second stay at Calais Mount Resort & I willdefinately visit again. Pros: Location was brilliant. 1 minute walk to beach front. Cons: No view from balcony. Dark apartment. Awesome place to stay, great location, great staff, great facilities. The only thing that would make it great would be some air conditioning 😀 was very hot! The little air con unit and the fan wasn’t really cutting it. On arrival we were told the driveway was not to be used because of major work being done until June. We decided to unload the car from the carpark provided. Our car was average in size but was too large and awkward in the carpark so we chose to go outside with it and park in the street. The noise the next day of the work on the driveway was terrible. So bad we had to leave the unit for the day. It was impossible to live there under those circumstances. We were offered our money back before checking in, even, so it was known this work was going to be undertaken. Apart from the tight fit for the car in the car park, the unit was perfect in every other way. However, living there while work was being done was impossible and very disappointing. 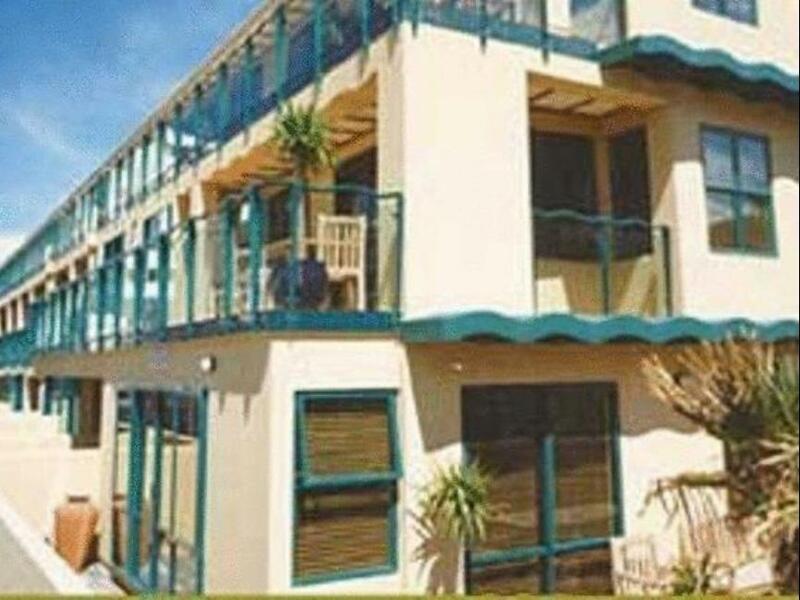 Spacious rooms and has washing machine and dryer, separate lounge and a balcony. Only get one key. the constant condensation on the windows spoilt the view and made the room feel damp. The heater was so noisy you couldn't have it on for long as it would drive you batty! the second day we only had one towel in the room and had to ask for a full complement for the room, which was given to us, no bother. There was also all large plates missing and side plates on the second day.Luckily we didn't need them as we went out for dinner. It was also very noisy and the place felt more like being in a hostel than in an apartment. The was not enough noise insulation as you could everything happening outside in the hallways. Though the noise did not carry on late at night. apart from that it was an OK place but we wouldn't stay there again and couldn't really recommend it to anyone. We'll do better research next time. Reception staff gave good first impression, apartment was roomy and had all the things we needed with 2 year old. I did recall last stay 5 years ago we got complimentary vouchers for salt water pools. The location as it is close to the beach, spacious rooms, and well equipped rooms. We had a nice stay there. It is close to Pilot Bay and the Mt Maunganui beach. They can lend you beach towels which is great. It is more of a self-service set up in terms of food. There was no continental breakfast, but that is not a problem, as there are local cafes which are close and open quite early. Food or room service is done via the adjacent restaurant that have different owners. We tried to go there for dinner one night but it was booked out, so it pays to book at any of the local restaurants in high season if you want to secure a table, as some had a 50 minute wait. It also could be a little noisy, but that really depends on the other guests. Overall we can recommend Calais Mt Resort for people that want the basics, and are fairly self-sufficient.